I have pulled off the exhaust and there is no blockage. 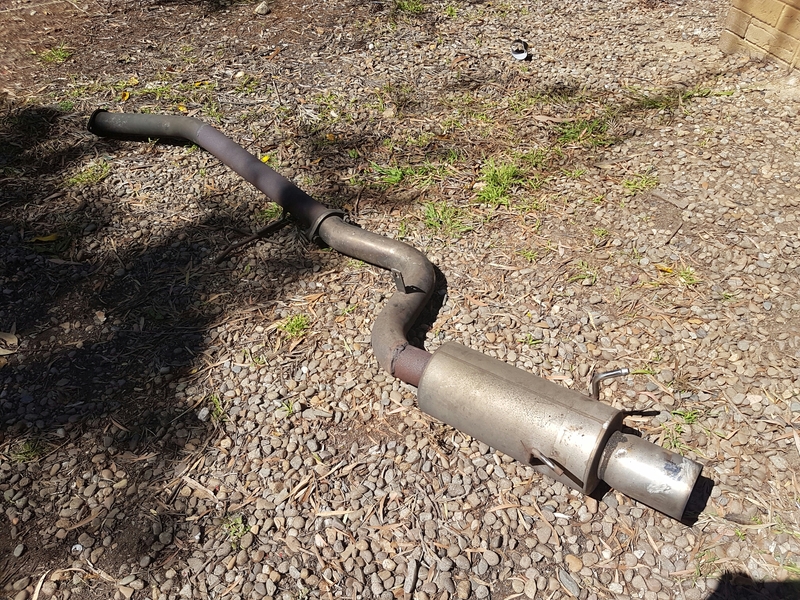 The muffler is the only part less than 75mm, where it drops to around 50mm. I am planning to have the muffler replaced from the slightly smaller, rustier section just behind the muffler. I would still like a 3.5 inch Varex muffler, but we’ll see what the local supplier has in stock. If the new muffler doesn’t free up the engine then it’s back to the drawing board. The dump pipe looks ok. I’m not that keen to pull it off without good reason.